These imprinted first aid kits give your business a clean bill of health! Respond to your customers’ needs with compassion and they’ll never forget you. This first aid kit will save the day for minor emergencies, scratches and bumps. 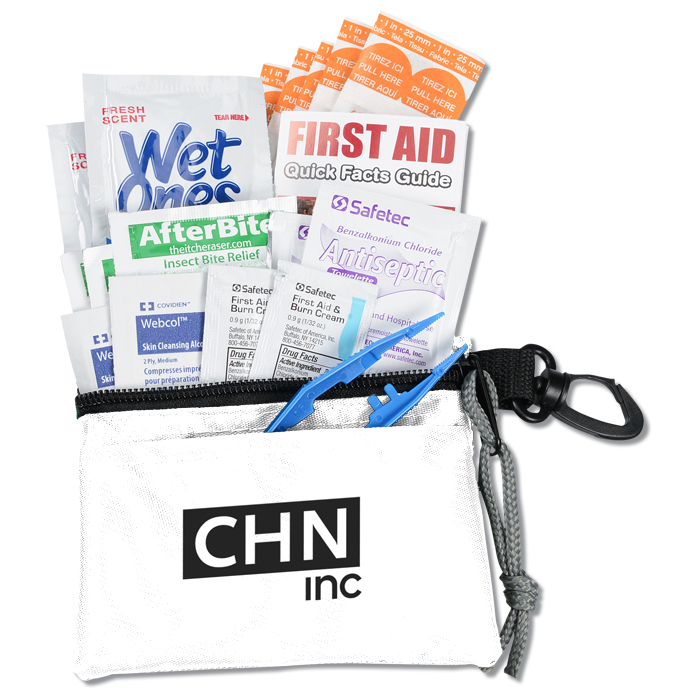 The clip-on zippered pouch houses two first aid ointments, two antiseptic swabs, two alcohol pads, two antibacterial wipes, three after-bite itch erasers, five bandages, one pair of tweezers and one first aid quick guide. 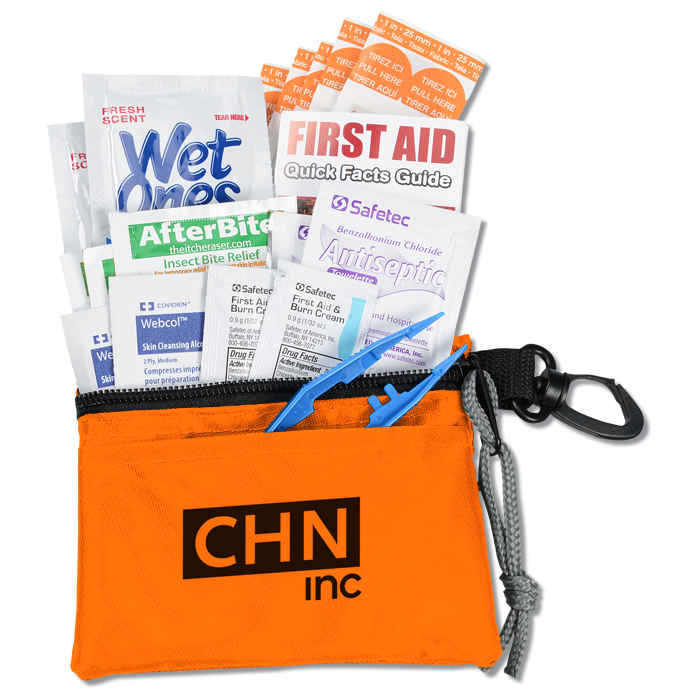 Stash in your tackle box, glove compartment, hiking pack or other safe spot, just in case. Your price includes a one-color imprint on the front of the case. 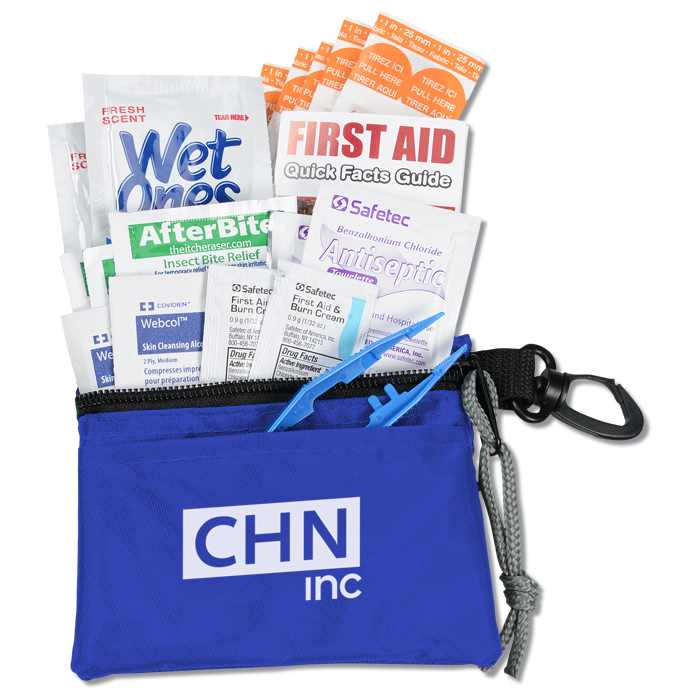 Additional imprint color available for an extra charge. Set-up charge: add $30 per color.